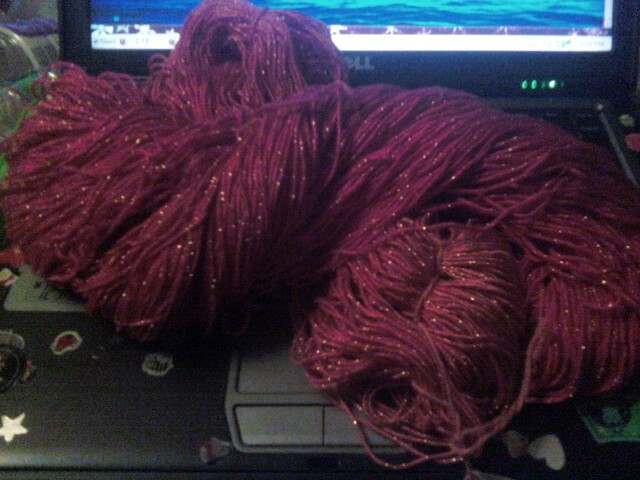 I purchased this yarn at Butterfly Yarns. It is a rich sparkly pink rayon, so beautiful. I also have the brown version that my daughter bought for me. These two yarns get my creative juices flowing! What should I make with it?